Two internationally renowned Cuban artists, singer Omara Portuondo and poetry, Luis Carbonell received awards from the city of Santiago de Cuba in gratitude for their contribution to Cuban culture. 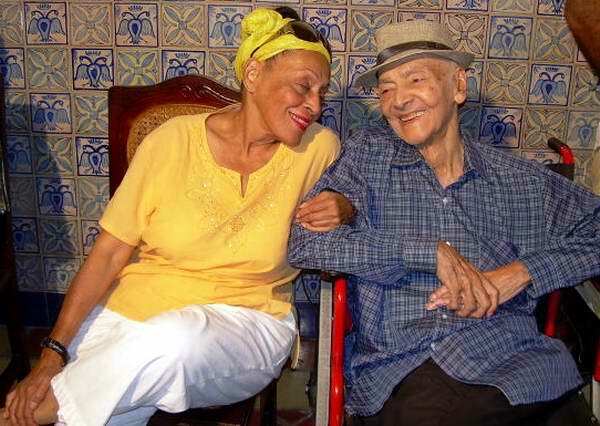 Omara Portuondo received the Shield of the City, the highest honor awarded by the City Hall, on behalf of the people of Santiago de Cuba and Luis Carbonell, who was born in Santiago de Cuba received the distinction of illustrious son. Carbonell already holds the Shield of the City. The ceremony took place at the headquarters of the Municipal Assembly of Popular Power in the old City Hall building.